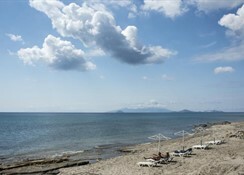 The hotel is situated near to a quiet road about 2 km from the centre of Kardamena village. The studio complex is just across the street, within walking distance. 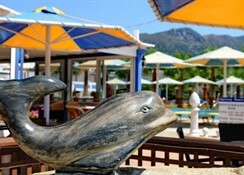 Kos Town is some 30 km away.This is bright and modern studio complex surrounded by beautiful scenery. 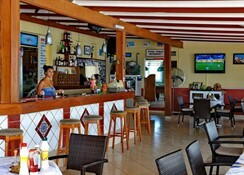 Fully renovated in 2011, there are 21 units in total at this apartment hotel. 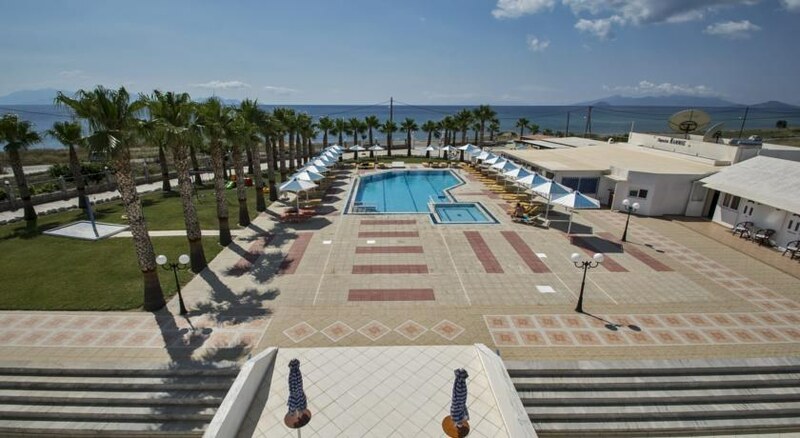 Facilities include a 24-hour reception, a currency exchange, games room, Internet corner, overseas telephone lines, a car park and a restaurant. 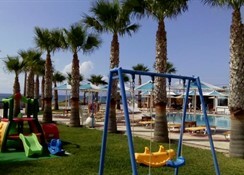 Younger guests can let off steam in the children's playground and games room. There is also a TV lounge. A laundry service is offered for a fee.All rooms are comfortable and include a balcony or a terrace facing the sea, a kitchenette with fridge, a hairdryer and a shower. For an extra fee guests can make use of the individually controlled air conditioning system and electronic safe boxes. The heating is also individually regulated.There is an outdoor swimming pool with children's swimming area and a poolside snack bar with music and satellite TV. Sun loungers are laid out ready for use. There is a pebble beach nearby.A continental breakfast buffet is served each morning.